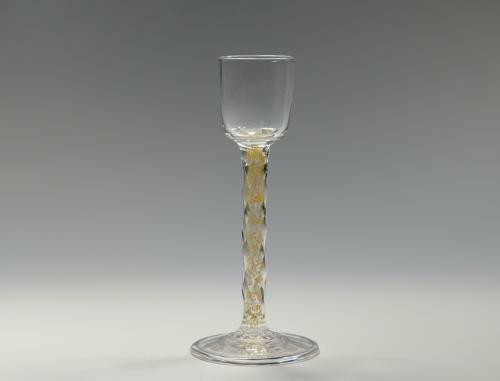 Rare liqueur glass with facet cut stem with gold foil inclusions, optical ribbing to bowl and foot, the foot is folded. Designed by Harry Powell. Made by James Powell & Sons Whitefriars C1900.